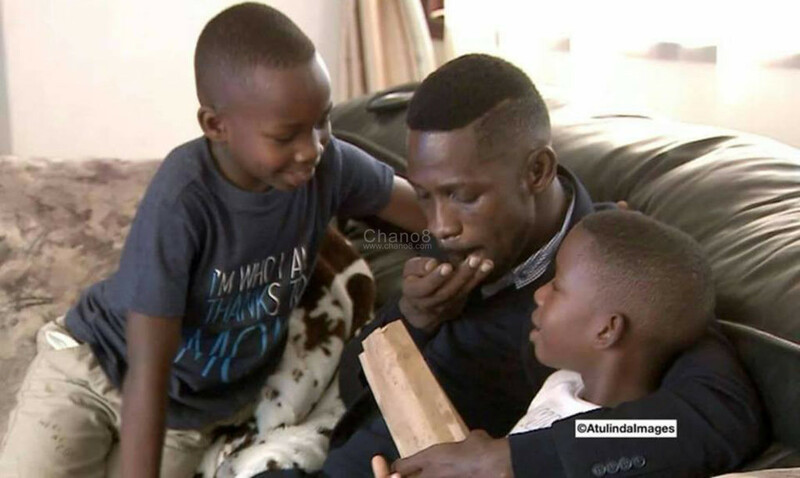 Musician-turned politician Robert Kyaguanyi aka Bobi Wine has finally arrived in the country and re-united with his family after almost two months of being away from his beloved family members and supporters. His voters from Kyadondo East who voted him as Member of Parliament too had not seen him for a long time ever since events unfolded during the Arua by-election. 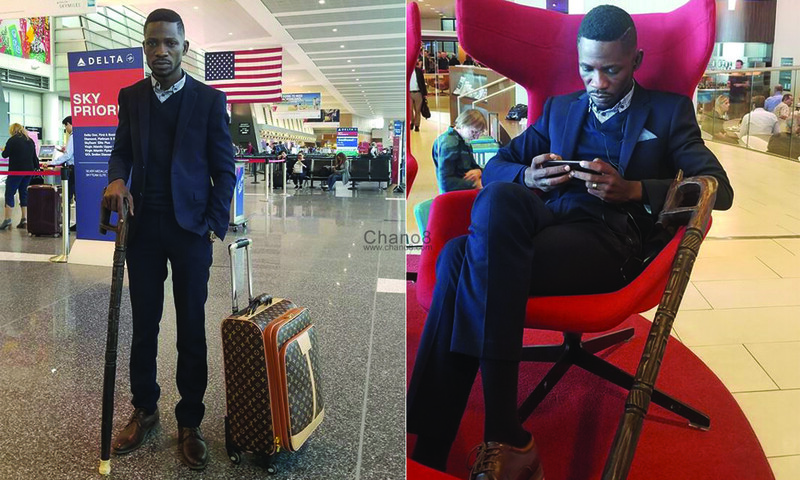 Bobi Wine who landed in the country yesterday aboard Kenya Airways from Nairobi, was returning from a medical trip where he had sort treatment in the United States of America, following what he claimed was a series of tortures inflicted on him while in detention in different facilities. He was also allegedly badly beaten badly with other politicians during the arrest in Arua. Bobi Wine setting off from America. However, the return was not a smooth one as heavy military deployment along Entebbe highway and alleged arrests of journalists of the legislator’s relatives caused tension along the highway. The defiant and determined MP then sent a message from Jommo Kenyatta International Airport that come rain or sunshine, he will be landing at Entebbe shortly which caused more excitement for the supporters who were now gathering in anticipation. However the military swung into action and dispersed them beating and injuring some in the process. 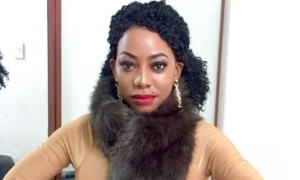 Bobi then finally stepped on home soil at around 12:15 but was immediately whisked off by police in a convoy which the Inspector General of police described as ‘escorting the VIP’. “Upon landing at Entebbe airport today afternoon, I was immediately arrested by people in police uniform and others in civilian attire. They grabbed me from the tarmac, took away my walking stick and grabbed my red beret off my head! 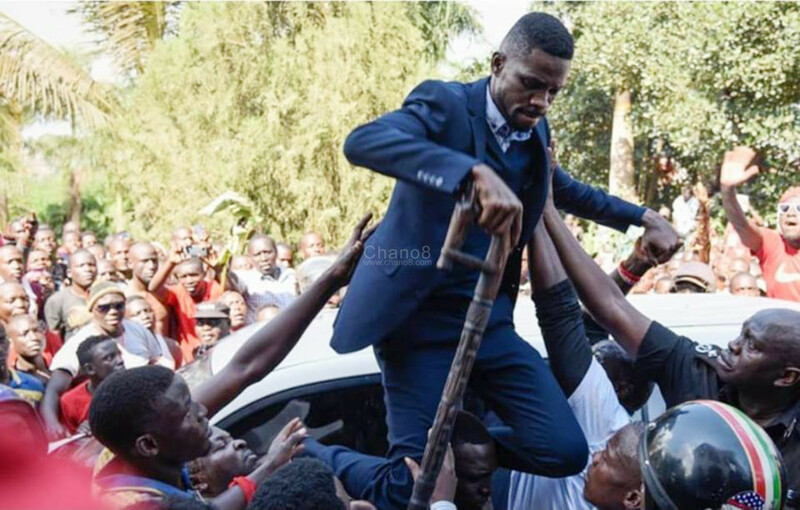 Bobi Wine being helped by police and friends to get onto the car from where he talked to his supporters. 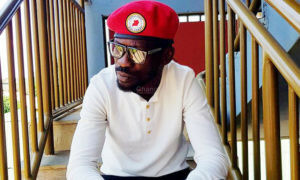 Although his plans of being received by family and friends did not materialize, Bobi was safely driven to Kasangati Police and then finally delivered home in Magere where his excited fans where waiting and later met his wife Barbie Kyagulany and children for the first time in a long while. 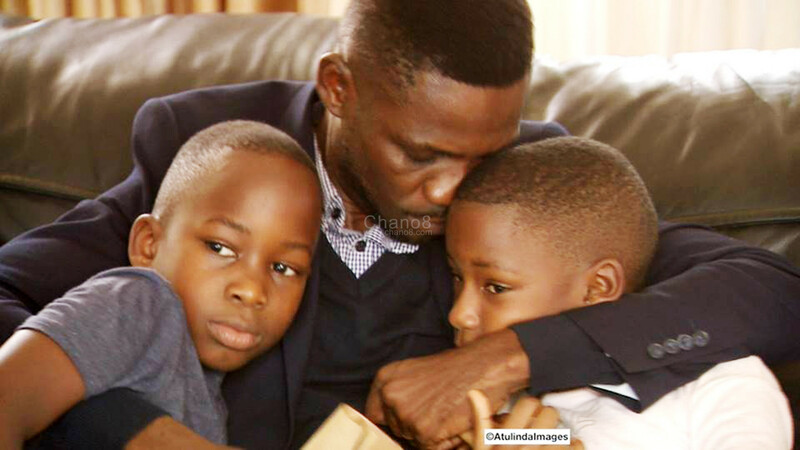 It was particularly touching when he hugged the little girl Shalom Namagembe in a long embrace. “I was overwhelmed by the masses of people who waited for me at our home in Magere. I can’t thank you enough! I am thankful to God for getting me home safe. We shall get to talk more in the coming days”. 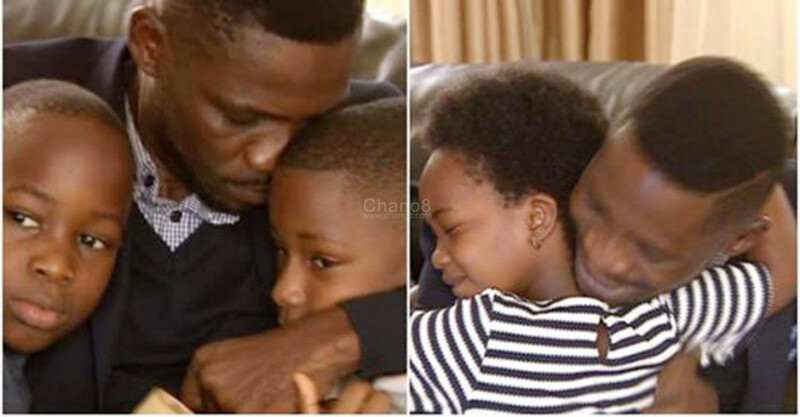 Bobi Wine is finally home with his family and the children were glad to see dad at last. 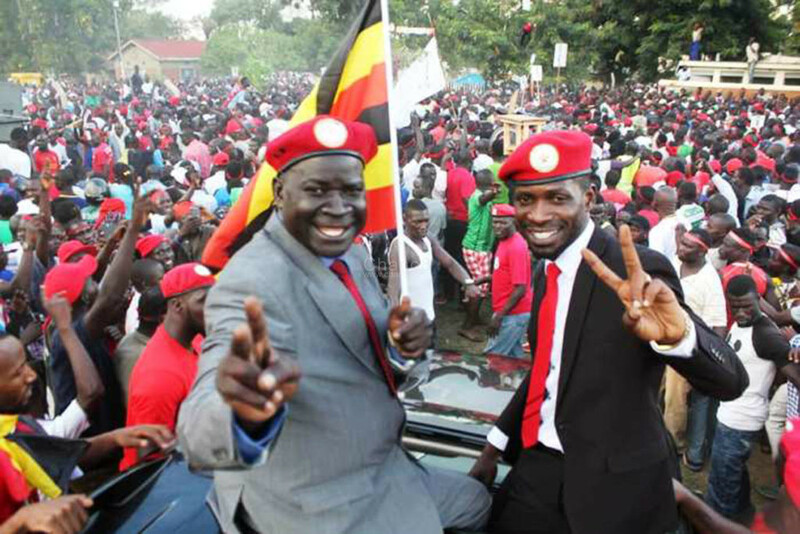 It all started when Bobi Wine headed to Arua Municipality to campaign for opposition colleague Kasiano Wadri in a by-election to replace slain former MP Col. Ibrahim Abiriga who was murdered in cold blood. 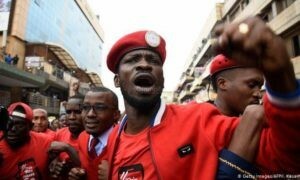 On the eve of elections, violence ensured and Bobi Wine was arrested on August 13th together with other politicians and 33 other people and charged with various capital offenses including illegal possession of fire arms and treason among others. Their main offence according to government was the alleged stoning of the president’s car whose rear window was destroyed. Bobi Wines’ driver was also shot dead Yassin Kawuma in the confusion that ensured. He claimed he was beaten terribly and tortured while in custody leading to his condition which he then went to treat abroad after being released on bail from Gulu prison.